Some months, it’s hard enough just to put food on the table and fill up the gas tank. Then, a birthday rolls around, and you want to go all out for your child—but your party budget doesn't quite line up with your plans. Instead of focusing on what you can’t afford, think creatively about what you can do, even on a small budget. 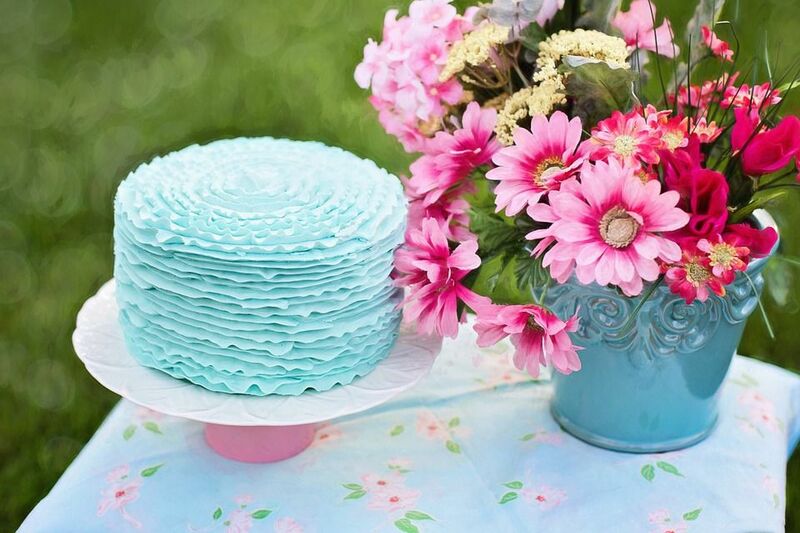 You might end up throwing a bash that’s more personal and meaningful for everyone. Party planning is a big industry. Businesses know how busy parents are, and they make it easy for us to buy everything we need in one spot. The plates, hats, wrapping paper and favors usually are within an aisle or two of each other at the store. It’s so tempting just to grab and go. But convenience costs money, and we sometimes forget how easy it would be to make party supplies ourselves. You probably have the craft items on hand, for instance, to draw a picture of a donkey on butcher paper, pin it to a wall, cut out tails, and then add a piece of Scotch tape to each tail as the kids take turns pinning them on. Professionally-made cakes can be expensive, too, whereas making one yourself probably costs less than $10. Read up on basic skills for making and decorating cakes. Then, look for inspiration online, such as on Pinterest, where you can enter search terms such as “pirate birthday cake” and see an array of ideas. The same goes for other paper products, such as cups and plates. If your child’s heart is set on a Frozen theme, compromise. Buy the Frozen plates, but go with plain blue cups, napkins, and other paraphernalia. When buying party supplies, ask yourself if they can be reused down the road. If you choose a timeless design, some decorations could last a lifetime. But if you opt for items that only work with a particular theme, you’ll find yourself buying a new batch of supplies year after year (multiplied by the number of children in your family). Wrapping paper alone can cost a small fortune, and it gets shredded in seconds in the hands of an excited birthday boy or girl. Instead, wrap gifts in newspaper, sew reusable fabric gift sacks, or save paper gift bags and use them over and over again. Friends should understand if you can’t serve a full-blown dinner at a child’s birthday party. But if your budget only allows for cake and ice cream, don’t hold the party at 5 or 6 p.m., a time when guests have the right to assume something hearty will be served. Have the party at 2 or 3 p.m. instead, and call the event a “dessert party” on the invitations, so guests don’t show up with empty stomachs. Rather than serving every child a can of soda or individual juice boxes, buy 2-liter bottles of soda or large jugs of juice and pour them into reusable cups. Not only does that save money, but it’s easier on the earth, too. Some families buy a set of reusable dinnerware that only gets used for parties. That helps make the event special without being wasteful. If you do serve a meal, choose something frugal such as a casserole or chili. If ordering out is a must, call around for the best deals and use coupons. Pizza shops almost always run some sort of special, and don’t be afraid to ask if one is willing to beat their competitor’s price. Ask yourself: do we really need x, y or z? Party favors have become a big deal over the years, but you’re not breaking any etiquette rules if you don’t give them. Young children probably won’t even notice! If you feel they’re a must, consider budget-conscious party favors. Some families feel pressure to hire professional entertainment, such as magicians, clowns or bouncy castles. Ask your child’s favorite uncle to dress up in a clown suit instead, or gather up costumes from your friends’ children before the party, set up a dressing area in the house, and let the kids entertain themselves. Another idea to consider: If another child in your family or neighborhood has a birthday coming up, see about having a joint party and splitting the cost of professional entertainment with the other parents. Host the party at home or in a public park rather than at an event facility. Keep the number of guests to a minimum. Buy food in bulk and cut fruits and vegetables yourself rather than buying pre-cut trays from the grocery store. Send e-mail invitations or make your paper invitations using craft supplies you already own. For a pirate party, for instance, cut up an old map, burn the edges of it to make it look old, then paste a piece of plain paper with the party information on top. As a birthday party approaches, it’s natural to worry whether you’ve made the day “special enough” for your child. There’s a temptation, then, to go out and buy more—more gifts, more decorations, more stuff. Think about what this teaches your child, though. Instead of showering them with material affection, find more meaningful ways to make them shine on their day. Make a book about their life. Decorate their door with streamers the night before their birthday, so it’s the first thing they see when they wake up in the morning. Make their favorite breakfast that day and start a family ritual where everyone takes turns saying something they appreciate about the birthday boy or girl before heading off to school and work. I’m willing to bet they’ll remember the warmth of those moments long after the memories of extra trinkets and toys would have faded.